song playing "Winchester Cathedral "
industry. Some became successful but many more faded away. 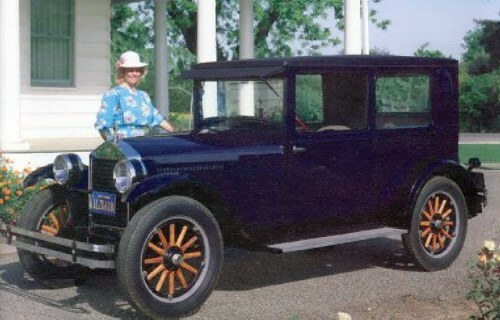 I hope with this site to bring these cars back for your pleasure. 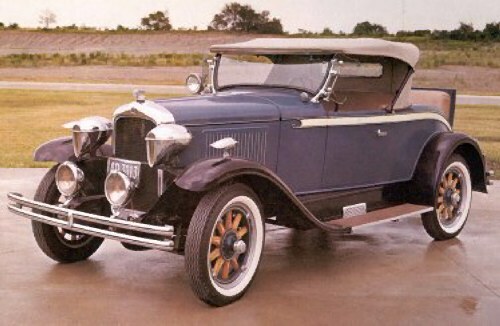 Essex was a branch of the Hudson Motor Co.
two-wheel brakes, and wood spoke wheels. 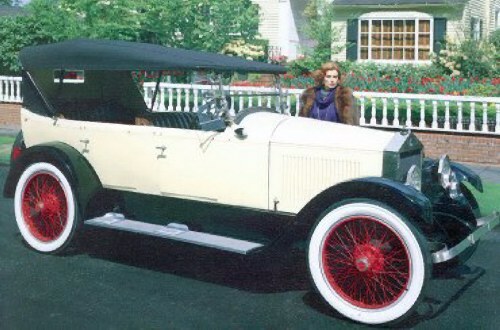 restored by its owners, Frank and Rhonda Stirling. They have graciously allowed me to present it on the web site. 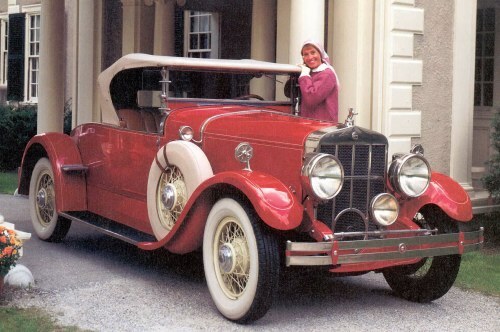 The following lists the particulars of this automobile. Congratulations to Frank and Rhonda for their excellent efforts. 186.5 Cu. In. for 40 H.P. @ 2400 R.P.M. 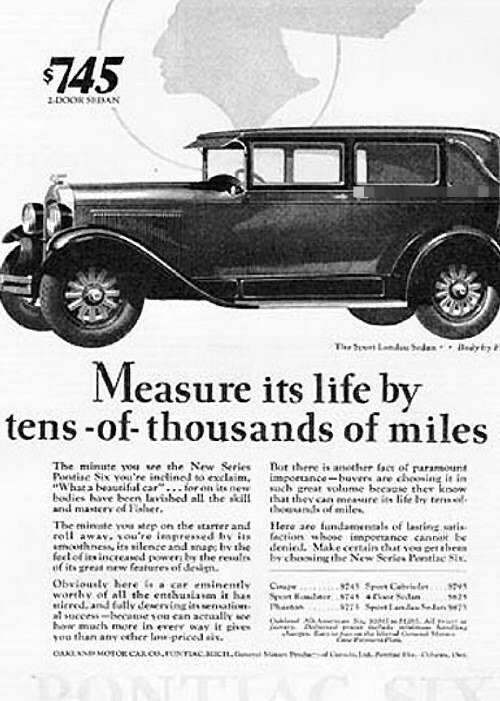 It was advertised that it could accelerate to 57 M.P.H. effortlessly! Improved 4.9 compression ratio heads. Cast iron block with bore & stroke 3 ¼ X 3 ¾. Three main bearings; solid valve lifters. New, Carter 1 Barrel “updraft” carburetor. Manual transmission; speeds 3 forward & 1 reverse. New improved dry disc clutch. Semi-floating rear axle. Overall ratio: 4.18:1. FOUR-WHEEL mechanical brakes (first year)! This incorporated internal front wheel brakes. 12 spoke wood artillery wheels (oak). Newly designed frame & front axle. Newly designed thermostat, steering wheel and dash mounted fuel gauge. AC fuel filter and fuel pump. Rear Nickel plated bumper, standard on Landau models. Delco “Lovejoy” front and rear shocks. 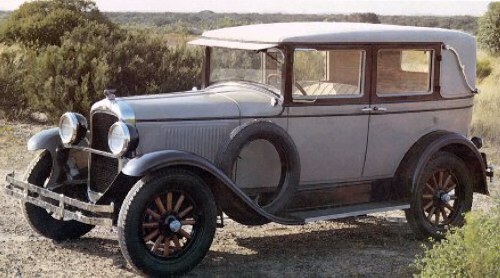 to $875 for this 1928 Landau Sport Sedan model. by Frank and Rhonda Stirling. Oakland Motor Car Company of Pontiac, Michigan. improved carburation allowing it to accelerate to 57 mph effortlessly. tire on a dark rainy night in this car? 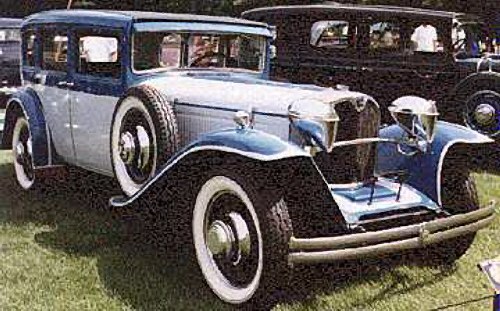 Note the headlights are similar to the Ruxton on this page. designs for it hanging on the wall and over them someone had written 'Pontiac'". County, he would be drinking it". Remember this was during prohibition. found on the wall, or the Indian Chief Pontiac? I'm not sure which, myself. Jesse Lincoln Randolph, the granddaughter of Abraham Lincoln. 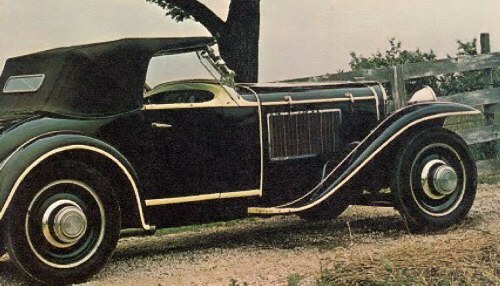 Sported radiator shutters, dual cowl ventilators, and hydraulic brakes. 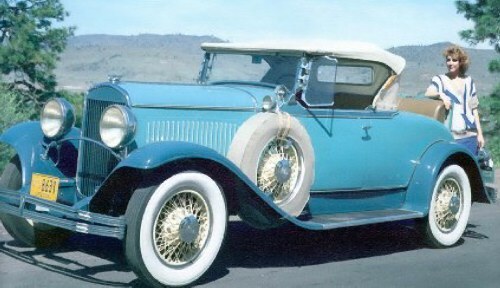 Wire wheels, side mounted spares, and a trunk rack were options. Produced by the Moon Motor Company. This front wheel prototype was nicknamed "the Alligator". Unfortunately I have no other information about this car. 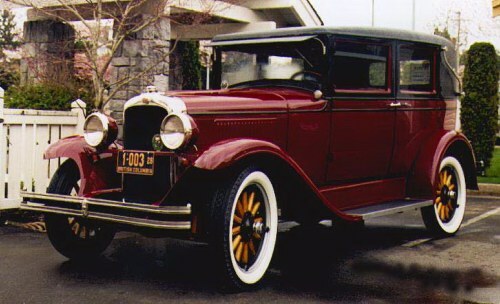 by Moon Motor Cars in 1929 and 1930.
who never invested in his namesake. by a buyer in Liverpool, England, which explains the right hand drive. If the guest book is down, or if you prefer, E-Mail me direct. with your comments, as I want you to enjoy it. divulged in any manner without the express request of the concerned parties.